2006 Salary Survey: Does your job provide you with the right chemistry? Home / Articles / 2006 / 2006 Salary Survey: Does your job provide you with the right chemistry? The majority of survey respondents told us that they are content with their salaries, benefits, and job fulfillment... so why are they so unsatisfied? 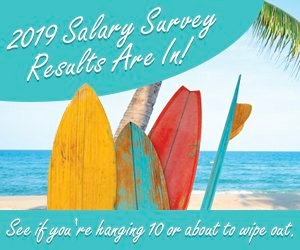 Whether your job provides you with the right mix of pay, benefits, and gratification was the focus of the 2006 Chemical Processing salary and job satisfaction survey. While the majority of survey respondents told us that they are content with their salaries, benefits, and job fulfillment, job satisfaction has declined and the biggest complaints are lack of recognition, followed by negative public opinion of the industry. Combining the average responses in several categories of the survey provides a profile of a typical chemical engineer (Table 1). That person would be male, with a bachelors degree, age 47, satisfied with his job, working 46.7 hours per week at an annual salary of $89,690after a 3.84% raise. This contrasts with average pay of $85,230 and raises of 3.1%reported in the 2005 survey. This years survey garnered 1,258 respondents compared to 1,205 last year.. The largest group of wage earners in the 2006 survey was 102 people (8.4%) who said they earn $100,000 to $105,000. In 2005, the largest group of wage earners was in the $75,001 to $80,000 salary range with 94 respondents (7.84%). Most respondents (738 or 61%) got a raise in the range of 2.5% to 5%. Additionally, 698 of this years survey participants (58.5%) believe they are adequately compensated for their experience and skills, versus 496 respondents (41.5%) reporting they are not. While the bulk of respondents said they are satisfied with their jobs, the number dissatisfiedwas higher than last year (Figure 1). This year, 172 respondents (13.4%) said they were unsatisfied, compared to 83 respondents (7%) in the 2005 survey. In a similar vein, the number of people very satisfied with their job also dropped 87 people (7.3%) this years versus 244 people (20%) in 2005. Challenging work remains the top contributor to respondents job satisfaction (Figure 2). Salary and benefits, and recognition by employer and peers are the next most important factors for job satisfaction, respectively (Figure 3). These responses match last years results. The greatest number of respondents (475 or 43.2%) took umbrage at lack of recognition as (Figure 4). Be prepared to be treated as a commodity. Engineering is not acknowledged as a profession on par with the education required, says a respondent. There are several other noteworthy areas to point out from the survey results. Following is a summary of those statistics. Slightly more respondents (51.3%) are concerned about job security than those who are not (48.7%). In contrast to numerous reader comments expressing concern about the future of the industry, nearly a third of you (30.1%) believe there is a very slight chance of being laid off or fired within the next two years. Another 13.1% believe there is no chance of either, while another 27.4% say there is a slight chance. However, 21.2% foresee a moderate chance of lay offs or firings within that time frame. Just 5.1% feel there is a high chance and only 3% believe there is a very high likelihood of layoffs or firings. The average work week totaled 46.7 hours, according to survey results, with almost two-thirds of respondents (65.4%) working between 41 to 50 hours per week, another 20.2% working 51 to 60 hours, and 9.2% working a 31 to 40 hour work week. Some of you (3.7%) are working 61 to 70 hours per week, with another 0.4% working more than 70 hours each week. On the low end, 0.7% reported working between 20 to 30 hour weeks and another 0.3% working less than 20 hours weekly. Those who are working overtime could select multiple reasons for the extra hours. Nearly all respondents (90%) do so mostly to get their work done (90%). Another 19.6% say they work overtime to satisfy supervisors or superiors, with 15.1% choosing to do so to advance their careers, and 6.4% working overtime to earn extra money. The average bonus paid is about $4,795, according to this years survey results, compared to the $4,631 average bonus reported in last years survey. Most of the bonuses paid are based on business unit financial performance or meeting or exceeding individual performance expectations. The largest group of respondents (31.8%) got a bonus of between 0 and $1,000.Conversely, the second largest group of respondents (21.5%) reported bonuses exceeding $10,000. Another 17.5% said they received between $2,501 to $5,000 in bonuses, with 10.8% receiving $5,001 to $7,500, and 6.7% getting a bonus from $7,501 to $10,000. For the second consecutive year, profit sharing remained the most valued benefit that respondents (17.9%) do not receive, followed by stock options (13.9%), flextime (13.7%), telecommuting (12.5%) and a pension plan (11.1%), respectively. The most common benefits that respondents do receive are medical insurance (95.7%), life insurance (89.7%), 401(k) or similar plan with matching contributions (88.9%), dental insurance (87.9%), disability insurance (79.4%), and education reimbursement (64.7%). Staffing level statistics over the past two years are nearly identical, according to survey results. This year, 39.4% say staffing levels where they work is the same as a year ago, whereas 37% reported no change in last years survey. However, more respondents reported increases than last year. 25.2% cited somewhat larger and 3.2% significantly larger staffing, compared to 20.54% and 2.25% respectively in 2005. Similarly, 24.7% say staffing has been somewhat smaller over the past 12 months, compared to 28% in 2005. Less people are reporting significantly smaller staffing, with 7.5% this year, and 12% last year. Over one quarter of respondents (27.7%) have been with their current employer for from 0 to 5 years, followed by another 20.6%, who have remained at their company for 6 to 10 years. Almost the same number (13.8% and 14%, respectively) have stayed with the same company for11 to 15 years, and for 16 to 20 years. Almost 15% reported even longer job tenure, staying with the same company for 26 to 30 years (8%), 31 to 35 years (5.2%), 36 to 40 years (1%), and 0.3% at more than 40 years. While more than a quarter of you (27.2%) are receiving 16 to 20 days of vacation time, compared to the actual vacation time taken, which is likely to be 11 to 15 days (31%). The top remaining vacation days received, according to the survey results are 11 to 15 days (27%), and 21 to 25 days (25.1%). Similar to the leading category, there is an approximately 5% discrepancy in each of the other leading levels between vacation days received and vacation days actually taken. For actual vacation time taken, 25.3% take 16 to 20 days and 19.8% take 21 to 25 days. As the survey data are gathered over a longer period of time, more trends will likely emerge in years to come.